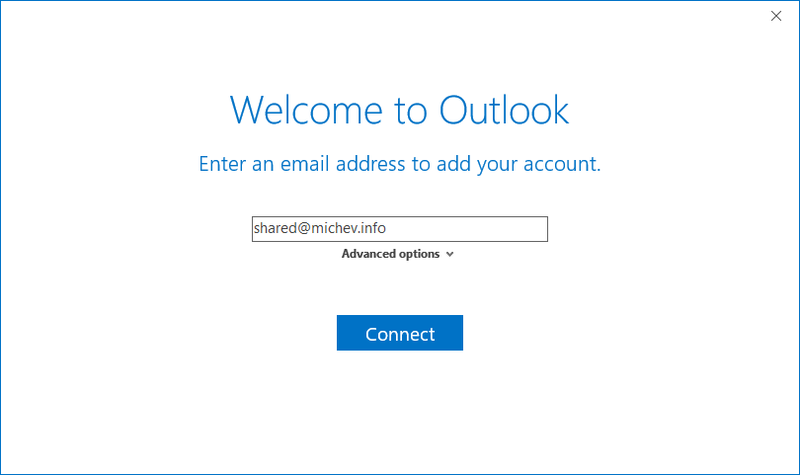 The question of adding your shared mailbox(es) in Outlook remains one of the most common ones, mainly because Microsoft has failed to put a proper guidance on the differences between adding a shared mailbox as additional mailbox vs adding it as additional account. 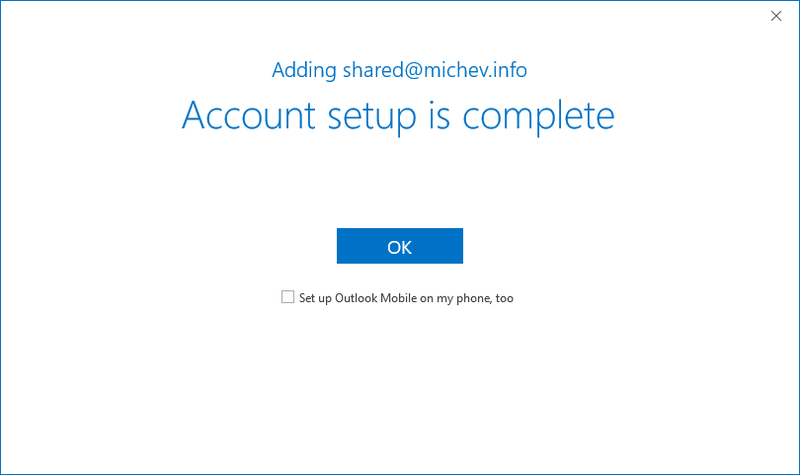 To address this, I posted the How to add a shared mailbox as additional account in Outlook article few years back. The method outlined in the above article still works, but as software moves forward, there have been some changes in the UI that might confuse people, so I decided to put an updated article. I’m not very good at keeping notes on what changed when, so the Office version number I posted in the title above reflects the currently installed on my machine (version 1708 build 8431.2215). This is NOT the first version to have the new “add account” experience. The steps however should work for every version that features the new look and feel for the add account dialog. 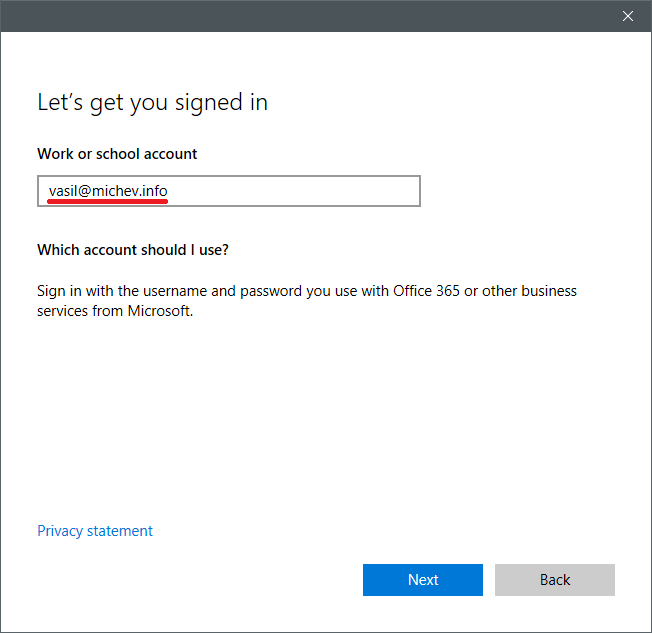 Here, make sure to replace the shared mailbox address with *your* UserPrincipalName attribute (as in, the username you use to access Office 365, which might be different from your email address). Once that part is complete, press the Next button. On the next dialog screen, you will be asked to complete the authentication process. Depending on the settings configured for your organization and the user account in questions, the process might run automatically or require you to provide additional authentication factors. For the sake of simplicity, the below screenshot illustrates the scenario where only a password is used, and the process will be complete once the Sign In button is pressed. And that’s it. 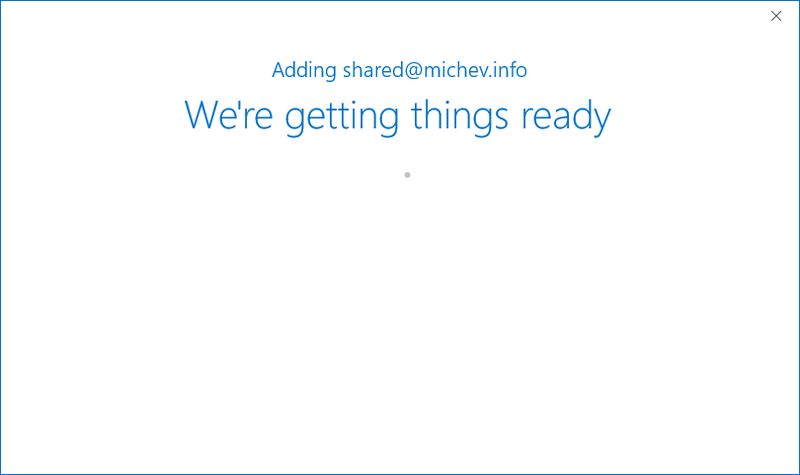 The Shared mailbox should now be added as additional account in Outlook and be visible in the left navigation pane. 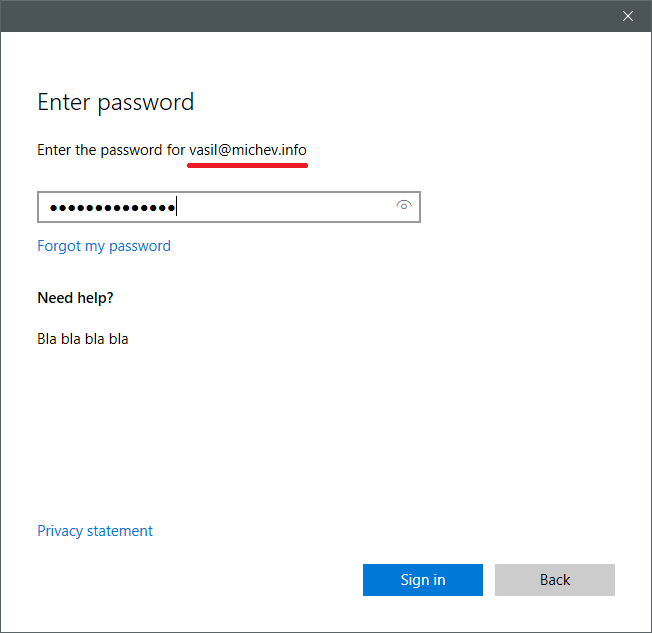 If you get prompted for credentials after Outlook is restarted, make sure to again follow the same process and provide *your* username and password. 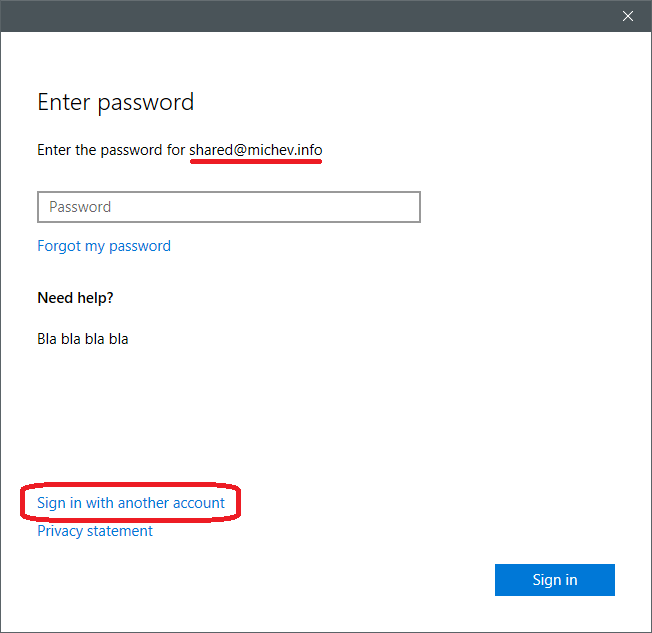 Just in case you made it this far without knowing the basics – the process outlined above requires you to have Full Access permissions on the Shared mailbox. I have set up a shared mailbox as the only account in one of my teammates computers, as she does not need an individual account. It seems to work basically. Would you have any idea how to fix this? THanks in advance and best regards! many thanks for your guide, I’ve followed all this steps but when I press on shared mail box in the left part of outlook I see this message “Impossible to open folders group – …path… – is not a ost file”. How can I solve this problem? Has it ever happened to you? Many thanks & best regards. Fabio. No, I haven’t seen this issue before. I’d double-check whether the user has Full Access permissions, and also make sure no Automapping is configured. Many thanks for your help. Unfortunately automapping is configured. Do you know if it possible add a shared mailbox as account with automapping turned on? Well, the automapped mailbox is interfering, so your best option is to create a new profile and add the shared mailbox directly, using the above method.